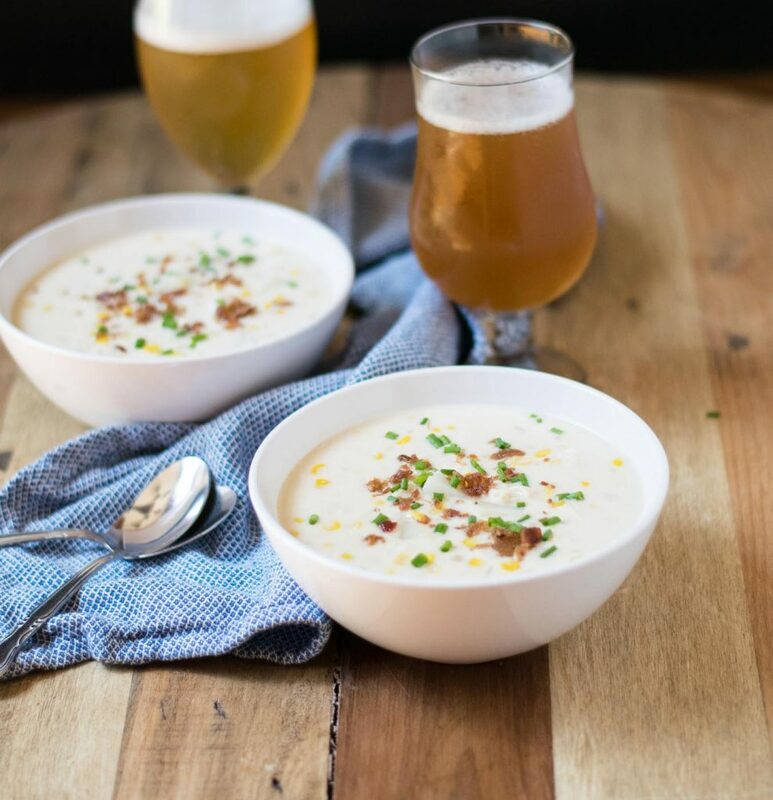 Beer Chicken Corn Chowder is and easy and delicious comfort food perfect to warm up on nights when the temperature is dropping. I’m in that in between place. That place for me where I’m completely over Thanksgiving and cannot even think of eating one more bite of leftovers, yet not quite geared up for the upcoming December holidays. 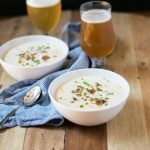 We typically take a staycation the week after Thanksgiving and this year is no different. The dishes are all cleaned up and put away and the visiting family members have returned to their homes around the country. We’re doing a few fun things, but overall we are focusing on getting in a lot of rest and relaxation. 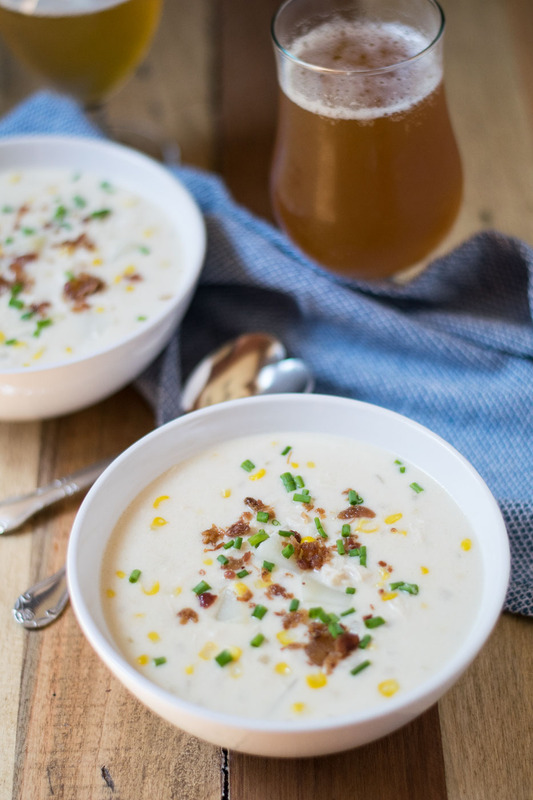 There aren’t that many things I can think of that say cozy comfort more than a big bowl of chowder – except maybe flannel PJ’s and fuzzy socks. 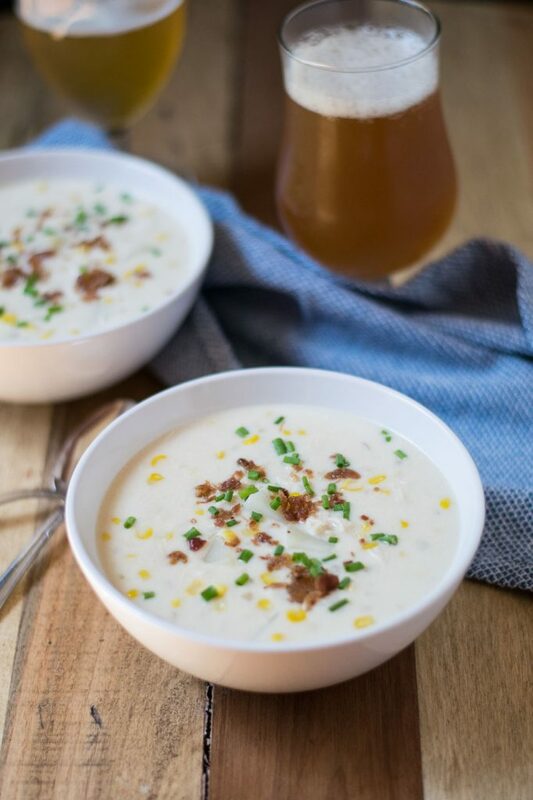 I’m planning to put my feet up, pour myself a beer, and relax with some beer chicken corn chowder as much as possible for the next week. Probably while wearing flannel jammies and fuzzy socks.